Road to the Horse sponsors are family and we’ll do everything in our power to assist you in reaching your promotional goals. A loyal and dedicated fan base as well as print, web and live event promotion make Road to the Horse the perfect platform to launch your business to success. For sponsorship opportunities at Road to the Horse 2019, contact Tammy Sronce at 940-859-6512 or email tammy@roadtothehorse.com or Kathryn Barkey at Kathryn.Barkey@cowboypublishing.com or call 970.554.2032. Founded in 1936, Western Horseman is one of America’s most respected and trusted publishing traditions. Serving as a “Voice for the Horse,” Western Horseman played a vital role in the establishment of breed registries and in promoting America’s love affair with horses. Our award-winning writers work with the horse world’s top sources to produce informative features on horsemanship, horse care, ranching, tack, recreational riding, competition and cowboy culture. And, our firsthand connection to the stock-horse world allows us to relate to our readers like no other magazine can: horseman-to-horseman. www.westernhorseman.com. Western Horseman. Essential for the Cowboy Life. One of the most well-respected Quarter Horse ranches in the United States, 6666 Ranch is a recipient of the AQHA Best Remuda Award, and has been named an AQHA All- Time Leading Breeder of Performance Horses. There is no doubt to any true horseman that the 6666 Ranch is a legend in its own time. Working in partnership with the American Quarter Horse Association, the 6666 Ranch introduces to the world the AQHA Remuda from the 6666 Ranch at Road to the Horse 2014. Recognized for their exemplary equine breeding program and outstanding record of tradition and excellence, it is only fitting that the best clinician be introduced in front of the world to the best horses. Focusing on certain “mare families” that are proven to deliver desirable traits to their offspring has provided several predominant broodmare groups for 6666 Ranch. Matching proven maternal genetics with the industry’s leading cutting, reining, ranch and all-around performance producers, 6666 Ranch has created fail-proof system for success. Platinum Performance was developed at the Alamo Pintado Equine Medical Center in 1996 by Doug Herthel, DVM. Understanding the power of nutrition and recognizing a clinical need, Dr. Herthel developed a formula that would help improve the quality and speed of healing in his patients’ bone and soft tissue injuries after orthopedic surgery. Word of Platinum Performance’s clinical success began to spread to other referring clinics, then eventually across the country and to horse owners around the world. Platinum Performance remains a family business with our roots firmly planted in veterinary medicine. Our seasoned team formulates, develops and tests our products in our own California facility so we can ensure that our clients receive products they can trust every time. Platinum will never take shortcuts with your horse’s health. At Platinum things never stop moving. We believe in the power of optimal nutrition and supplementation, and we’re constantly moving ahead with new products, new ingredients and new ways to help you and your animals feel and function at your best. As our team and our company grow, we’ll do so with the same commitment to our clients and dedication to quality, research and results. You have our word. With legendary power, performance and dependability, we’re determined to work hard and play even harder, boldly forging ahead to get the job done. For more information visit: www.ramtrucks.com. GUTS GLORY. RAM. ABI Equine is a true American company, born from American ingenuity to provide high quality attachments for your Tractor or ATV/UTV. Whether it is maintaining your arena, working on driveways or simply spreading manure, we provide you with the right tool to accomplish the everyday chores faced by an Equestrian. ABI is dedicated to providing our customers with the equipment needed to make the work on their farm easier to manage & continually produce the best results for their horse. We pride ourselves on the quality & durability of our products designed by our industry leading experts. ABI Equine is proud to be the Official Arena & Stable Management Sponsor of the Road to the Horse. ABI equipment is not only used by top competitors & facilities but everyday equestrians just like you! We make tools for every budget & our raving fans will tell you just how much they love their ABI products. If you would like to become apart of the ABI Family and learn more about our equipment, give us a call at 877.788.7253 or visit our website at www.abiequine.com! Curicyn Is Different…Curicyn™ was developed in its initial formulation to address mastitis in dairy cattle. When its effectiveness was immediately recognized, the applications were expanded to such issues as pink eye in cattle, saddle sores on horses, hoof rot and white line disease. The results were quite impressive. Various chemistry parameters have been optimized to create a unique and synergistic formula that very effectively helps eliminate inflammation while simultaneously stimulating the healthy rejuvenation of new tissue. Extensive testing on mixtures containing some of the compounds in Curicyn has been performed on common bacteria strains known to be troublesome in equine, cattle, companion pets and other animals. These laboratory results and field trials indicate Curicyn to be highly effective as a topical wound and skin wash formula. All of the ingredients in Curicyn are “food grade” or “high purity” ingredients. Two of the lesser, but potent ingredients are found in food sources in high concentrations and they naturally will not promote bacterial growth. One of them has been identified by the World Health Organization as an essential health element. This synergistic mixture accelerates the animals own natural healing mechanisms. Curicyn offers unparalleled value. Our product pricing is exceptional. Similar products currently available do not possess the effective properties of Curicyn, all in a product that is non-toxic and environmentally compatible. Learn more here. Merhow Industries continues to be one of the oldest and most innovative horse trailer manufacturers in the industry today. Its 60-year plus reputation for building strong, sturdy equine products continue to follow the company into the present era. With a national dealer network in the United States and Canada, Merhow offers unsurpassed warranty and customer service for their retail customers. In addition, the all-aluminum product is produced in the same facility as the in-house living quarters, thereby giving owners and dealers a single point of contact for service and warranty. Once you pull a Merhow, you won’t pull anything else. Visit www.Merhow.com. The JUG Waterer has a long and proud tradition of not only meeting but exceeding our customers expectations with all of our products. We offer the best livestock/horse fountains on the market, but don’t just take our word for it, hear it from people just like you. JUG Waterers are backed with the strongest warranty in the industry, along with highest possible level of customer service. Learn more at www.jugwaterers.com. Nutrena© animal feed has been developing the latest innovations in the care and feeding of animals since 1921. We focus on providing precisely balanced, consistent nutrients in every bag to bring out the best in your horse, at any age or activity level. Nutrena’s innovative research into the nutritional needs of horses is enhanced by relationships with some of America’s leading universities. Partnering with these institutions gives us access to the specialized expertise we need to develop Nutrena© products that are uniquely suited for all types of horses at every stage of their life. No matter what you use your horses for, the right nutrition makes all the difference in keeping your horses health and happy. That’s why Nutrena© has developed feeds that deliver optimum levels of nutrients, protein, fat and carbohydrates your horses need to stay in top condition. Nutrena© promises that they will do everything they can to help you find the right feed to achieve your goals. No matter what part of the country you call home, you’ll find Nutrena© feeds readily available so you can give your horses high-quality nutrition. For a lifetime. We at Martin Saddlery are dedicated to giving you the most of FIT, FUNCTION & VALUE in a saddle. Martin Saddlery is built by professionals for professionals. Our saddles are designed to provide a better fit for your horse and specialized by discipline with the rider’s needs in mind. Each Martin Saddle is hand crafted and individually assembled by the finest of craftsman. Often Duplicated, Never Matched. www.MartinSaddlery.com. REDUCE PAIN, SPEED HEALING, and KEEP PEAK CONDITION. Class IV Therapy Laser: an essential tool in modern equine practice. Lasers stimulate a photobiochemical cascade of events at the cellular level relieving pain, reducing inflammation, and increasing microcirculation. These events result in accelerated healing and restoration of function within the tissues. Learn more here. Hagyard Pharmacy is a full-service equine pharmacy located in Lexington, Kentucky. It is affiliated with the Hagyard Equine Medical Institute and its 140+ years of equine veterinary experience, making it the number one name in equine health. This affiliation gives Hagyard Pharmacy a unique perspective in providing compounds, over-the-counter pharmaceuticals, and supplements to the equine industry. This has led to the development of innovative products, such as the Resolvet line that is inspired and developed by veterinarians to address specific needs for equine supplements. The Resolvet line includes Relyne GI for gastric support, Reflex HA (all natural) and Reflex200 for joint support, Relyte HA electrolyte paste, Relieve antidiarrheal paste, and Repair hoof oil. Hagyard Pharmacy is the official pharmacy and proud sponsor of the Road to the Horse. For more information, visit hagyardpharmacy.com. From wild to mild. With approximately 100 days to tame wild to mild, trainers from across America continue to take the challenge of competing with an American Mustang at the 2018 Extreme Mustang Makeover events in Lexington, KY – June 21-23 and Fort Worth, TX – September 6-8. Trainers compete for cash and prizes while displaying the trainability of American Mustangs in hope of finding a suitable adopter or purchaser. The Mustang Heritage Foundation created the Extreme Mustang Makeover event in order to recognize and highlight the value of mustangs through a national training competition and showcase the beauty, versatility and trainability of the rugged horses. After being selected a trainer picks up an American Mustang that has been virtually untouched by humans and has approximately 100 days to gentle, halter break and saddle train, build trust and develop a relationship with the horse to compete and win. Take it to the EXTREME in 2019. Learn more at ExtremeMustangMakeover.com. “J.W. Brooks is a hat maker that does not just turn out another cowboy hat. Each hat is a work of art. Each custom hat is crafted by western artist, J.W. Brooks, dedicated toward the perfection of quality, style, look and feel with a concentration on the significance of true western individualism. He believes even though cowboys and western heritage seem to be classed under one heading, the true meanings are defined by the individual character and style. With millions of people throughout the years, separating themselves from everyone else by even the slightest modification to one of the most historical icons through history, the cowboy hat has no limitations. With only your imagination being the limit, there is no one else to trust in your pursuit of style than JW Brooks.” Rocco Wachman & Matt Pellegrin. Visit JW Brooks Custom Hat Company at www.JWBrooksCustomHats.com. Formulated with a light, refreshing cucumber-spa fragrance, the European-inspired Espana line of SILK grooming products have been developed to provide superior conditioning and moisturizing for people/animals of all ages. Using SILK as part of your grooming routine promotes healthy hair & skin for people/animals and silky coats, manes and tails while also providing protective and healing properties. Espana SILK™ products are made with the finest and safest ingredients available and have been formulated to hydrate and reduce static to bring out the natural luster of your hair and your pet’s manes, tails and coats. Learn more at www.EspanaProducts.com. Colorful Manes and Tails was founded in the majestic Bitterroot Valley of Montana. Our history traces back six generations since 1860’s. Horses have always been a huge part of our lives from rodeos and parades, to beautiful trail rides throughout the valley. The inspiration came from my youngest daughter’s passion for painting horses. Her vivid and vibrant eye for a colorful palette canvas inspired this idea to life. Not only will these hair extensions “add some color to your ride” but will speak for themselves! Some interesting facts, adding RED to a horse’s tail warns that he/she is a kicker, GREEN to show that he/she is green or unpredictable, and YELLOW to symbolize that he is a stallion! Colorful Manes and Tails has been featured in magazines such as Western Horseman, Horse Illustrated, Horse and Rider, Young Rider, and Rocky Mountain Rider. You can also find us on Facebook or visit them at www.ColorfulManesandTails.com. Reba started her lifestyle brand designing clothing with the idea of developing sophisticated, versatile collection reflecting her own sense of style, for women who share her time constraints and active lifestyle. REBA clothing started with missy but has expanded, due to overwhelming demand, into Woman sizes. Since her clothing line launched more than 10 years ago at Dillard’s, the REBA Lifestyle has grown to encompass Harmony for the Home, Luggage, and Footwear. Harmony for the Home consists of beautifully designed bedding that is sure to warm up any room in your home. With all of the traveling Reba does, luggage was a natural progression and she has worked hard to create high quality and durable pieces that are sure to have you traveling in style. The REBA Footwear collection is full of great western boots, fashion shoe boots, dress and casual shoes that feel as good as they look. Reba believes beauty does not have to hurt and when your shoes feel good and look good, you can go wherever your day takes you with confidence. So, check out all of the great things the REBA Lifestyle has to offer at Dillard’s or Reba.com! Treasure Valley Community College opened in 1962, when afternoon and evening classes were offered first at Ontario High School, and then moved to the current campus several years later. Since that simple beginning, TVCC has grown to 14 major buildings, including the Laura Moore Cunningham Science Center, which opened its doors in 2013. A caring staff and faculty serve more than 3,000 students annually, providing excellent, affordable educational opportunities in a relaxed, pleasant rural setting on 90 beautifully manicured acres. Wade now directs the Equine Science Program at Treasure Valley Community College in Ontario, Oregon. Learn more about the Equine Program in Ontario, Oregon, at www.tvcchorseproduction.com. Breyer makes model horses and accessories for play, collecting and customizing in a wide variety of materials for horse and animal lovers of all ages. We create approximately 300 unique horses, animals and accessories each year. Breyer is a division of Reeves International, Inc., a family-owned manufacturer and distributor of fine toys and collectibles based in Pequannock, New Jersey, USA. Breyer is also distributed in the United Kingdom, Europe and in Australia and New Zealand. Explore the world of Breyer at www.BreyerHorses.com! Just imagine, stepping into the stirrup and easing a leg across the saddle, pickin’ up a rope and shakin’ out a loop to catch a set of horns or what about the thrill of climbing on the back of one our world famous Robo Bulls or Broncs for the ride of a lifetime, just like you’re in a rodeo. You can experience what the rodeo lifestyle is all about like you never have before. Rodeo Zone Mini Ranch is an event venue located in Fort Worth, TX. 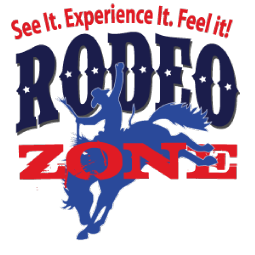 Rodeo Zone is extreme fun for birthday parties, family gatherings, church groups and corporate events or team building seminars. Rent the whole ranch for a private party or bring the family for the day to enjoy the Zones of their choice! Have and love your own great location? We can bring Rodeo Zone to you! Yes, everything is mobile and will travel to you! Learn more at www.Rodeo-Zone.com. A family operated natural fly control company since 1976, Spalding Labs® sells necessities like biological fly control, odor eliminators, & more. When you stop and think of all the things you bought last summer to help with flies it probably added up to real money and a lot of effort. And did it work well? This year why not fix the problem at its source rather than just treat the symptoms. Try Fly Predators® brand beneficial insects. They’re the safe, easy to use alternative to spraying gallons of pesticide, hanging dozens of stinky traps or putting up acres of sticky strips only to have the flies just keep coming back. And they keep coming back because all those things only affect the adult fly stage ignoring the 90% yet to emerge. So rather than doing what you did last year, and having the same fly problem this year, break the cycle with Fly Predators. You’ll have less flies for sure and probably spend less too. Learn more at www.spalding-labs.com. Barrel Horse News offers the largest national paid subscriber base of any barrel racing publication in existence. Readers consist of members of the National Barrel Horse Association (NBHA) as well as a substantial base of general interest barrel racers. Editorial coverage focuses on news within the barrel racing industry and offers a variety of barrel racing information, from the large associations, such as NBHA, to major event coverage, brief futurity round-ups and the most comprehensive event calendars available. Advertisers in Barrel Horse News reach the largest audience of any barrel racing publication. The National Barrel Horse Association, the largest and fastest-growing barrel racing association in the country, has purchased a subscription of Barrel Horse News for each of its member households as an added value to the NBHA membership. Visit www.BarrelHorseNews.com. Quarter Horse News is an award-winning semi-monthly news magazine that provides the most comprehensive and timely coverage of the Western performance horse industry. Focusing on cutting, reining and reined cow horse, Quarter Horse News has been a trusted source of news and information with real meaning to its readers for over 30 years. Quarter Horse News also publishes two special annual publications that are sent to all of its readers as a part of their paid subscription. Published since 1998, the Quarter Horse News Stallion Register is the leading stallion resource guide for mare owners in the Western performance horse industry. The Quarter Horse News Sales Price Guide is the most comprehensive sales resource guide available in the Western performance horse industry. The publication features sale results, statistics and analysis from the top cutting, reining and reined cow horse sales held each year. There is a complete listing of all horses sold in the prior year’s sales as well as charts listing the top sires, grandsires and dams of horses sold divided into several categories including age and discipline. For more information visit www.quarterhorsenews.com or find us on Facebook. Equine Monthly is a premier equine publication available in print and digitally. We serve the north central region in the USA and a direct market in southern and limited western states. Our Magazine features news on the equine industry, events, competitions, health & nutrition, and life- styles from the grass roots rider to the professionals. Our printed publication can be found at equine related business, training barns and stables, veterinarian clinics, feed stores, tack and trailer dealers, and by subscription. Visit us online with a mobile friendly format with the ability to be easily read on smart phones and mobile tablets. you can now take Equine Monthly publications with you anywhere you are. View our issues online for free on our website! www.Equinemonthly.com.